In conjunction with the Linguistic Society of America, the ANS meets once a year for paper presentations, panel discussions, and general camaraderie over food and drinks. 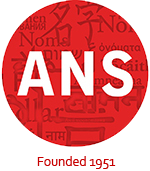 The American Name Society is inviting abstract proposals for a panel with the literary theme “Semantic relations and personal names.” Names have meanings. They bear specific semantic connotations that, albeit forgotten by their users, are exploited by authors to evoke subsequent layers of interpretation. Papers of this panel will explore this practice and investigate how meanings of names are employed and to what ends, with a focus either on specific authors or with a broader scope. Examples of themes that can be addressed may be semantics of names in literary theory, name choices due to semantic connotations, intertextual relations based on the meaning of names, etc. For more information about MLA 2020, check out the official website. Abstracts proposals of up to 400 words should be sent as an email attachment (PDF format) to Dr. Andreas Gavrielatos (gavrielatos@reading.ac.uk). DEADLINE: Proposals must be received by 5pm GMT on 31 March 2019. Authors will be notified about results of the blind review on or by 03 April 2019. For further information, please contact Dr A. Gavrielatos (gavrielatos@reading.ac.uk). For programs from past American Name Society conferences, click here. For other onomastic conferences, click here.